BlueVillas – The Luxury Concept is a Greek hospitality company specialized in luxury villa management and on-site operation services. 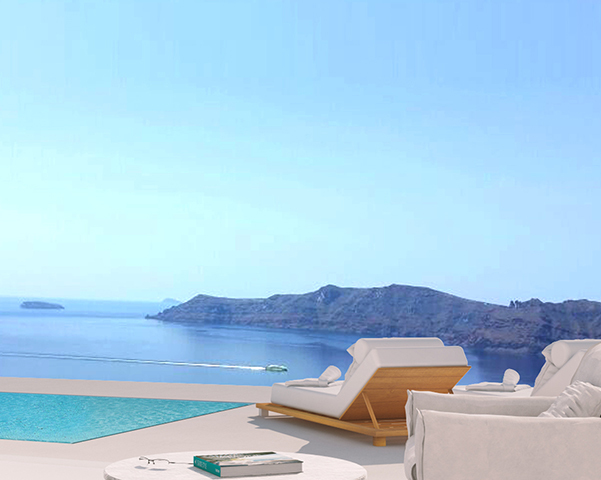 In our platform, you can browse through over 300 hand-picked stunning villas on the popular and breathtaking Greek islands of Mykonos, Santorini, Paros, Antiparos, and Crete. If certain villas appeal to your customer's holiday dream, make an inquiry and get our villa consultants’ input. Our team consists of top hospitality specialists that will smooth out the entire process for you and your customer. With over 7 years in the hospitality industry, we have developed the knowledge and understanding of what guests need and desire. We also stay up to date with all the current trends in the hospitality industry by attending events such us Pure, Le Miami, ILTM, The Edge of Luxury Travel etc. Our handpicked collection includes serviced villas that have been inspected by BlueVillas team and the founder of the company personally in order to ensure that each villa fulfills the 100+ criteria we have established. After numerous inspection in luxury villas and our long-standing experience in the hospitlity industry, we came up with a list of the criteria that make every villa worthy to be listed in our luxury portfolio. We compiled a list of the criteria that each villa possesses. First and foremost is the “holy trinity” that each villa should have; three elements of blue shade that are the pool/jacuzzi, the sea view and the sky, where the name BlueVillas was also inspired from. We also segmented the list into general characteristics eg. “All the villas should be in prime locations with sea view and be max 20 minutes’ drive to nearby attractions, beach and town” and to the quality of the facilities offered by each room. Finally, we put high standards in the arrival and welcoming process, as it is the first sense of hospitality that the guest gets. Our handpicked collection includes serviced villas that are characterized by 18 unique features. In order to highlight the uniqueness of each villa, we created specialized filters like sports, pet friendly, bohemian, town proximity and many more in order to help the guests find the villa that is the best suitable for them. 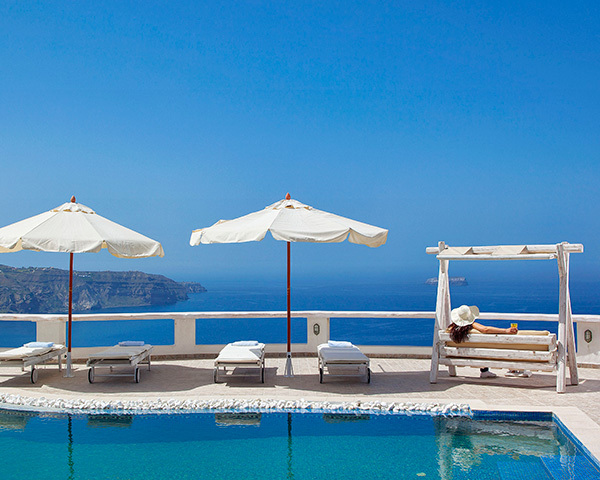 Our collection is vast, so every guest will surely find the villa of his/her dream. Not all our Luxury Villas can be found online through our Website! Due to privacy reasons, our Extravagant Villas are not featured online. These properties belong to famous Greek and foreign businessmen from the Shipping, Fashion and Construction industries. The villas are rented with housekeeping staff, chef, waiters, assistants. Upon request, we can supply Chauffeurs, Security Personnel, Butlers and many more services. Each villa is presented on its own page on our website. There, we showcase high-quality photos of the interior and exterior spaces and we provide a detailed analysis of its facilities, location, and services included in the reservation. There are agent-friendly villa presentations available that we will be happy to share with you so you may be more prompt in replying to your clients. 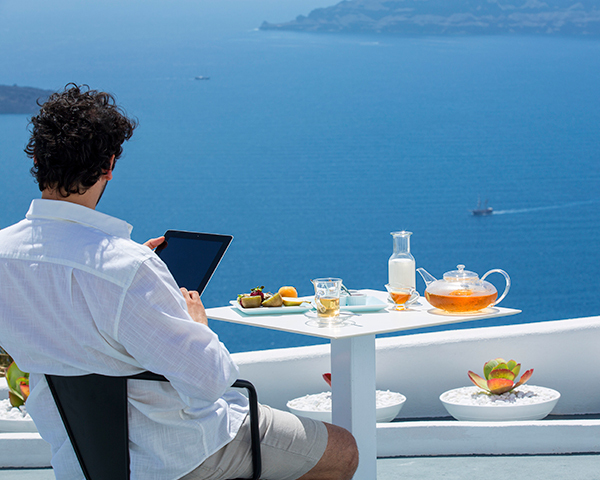 Besides accommodation, we offer quality service with our on-site concierge teams in Mykonos and Santorini. They arrange personalized experiences for every guest, tailored to their needs. 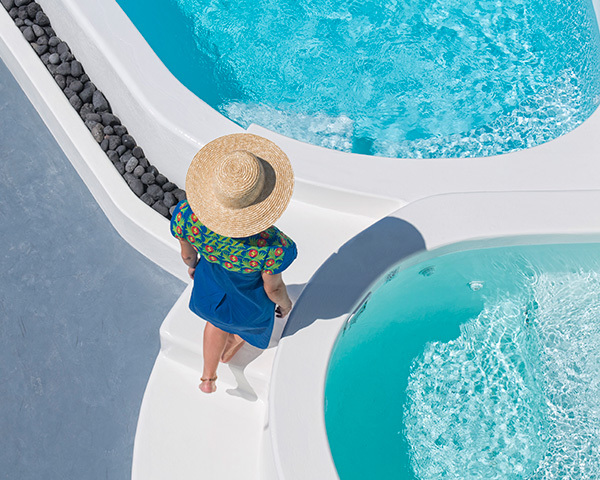 Into The Blue Experiences: Guests choose from a wide range of offers in the fields of gastronomy, wellness, transportation, culture, lifestyle, water activities and events. Land & Sea itineraries: Guests stay in luxury villas in two or more islands and have an unforgettable cruise. 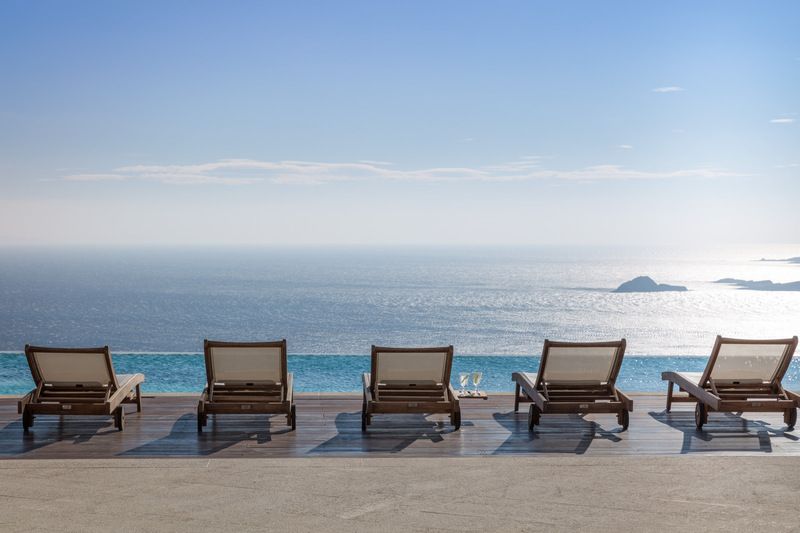 Into The Blue Detox: Guests will have the chance to experience a new 5-day detox program that will help them stay fresh during and after their holidays. We have been awarded 4 titles in the last two years by the World Luxury Hotel Awards. Our first title was “Best Serviced Luxury Villas in Europe 2016” which led the way for three more titles in 2017, one of them being global. Our titles are “Country Winner” in the category of Luxury Serviced Villa, “Regional Winner” in the category of Luxury Villa Group and “Global Winner” in the category of Luxury Collection Group. Our belief is that the elements of successful holidays are beautiful destinations, tailor-made packages, and personalized planning! 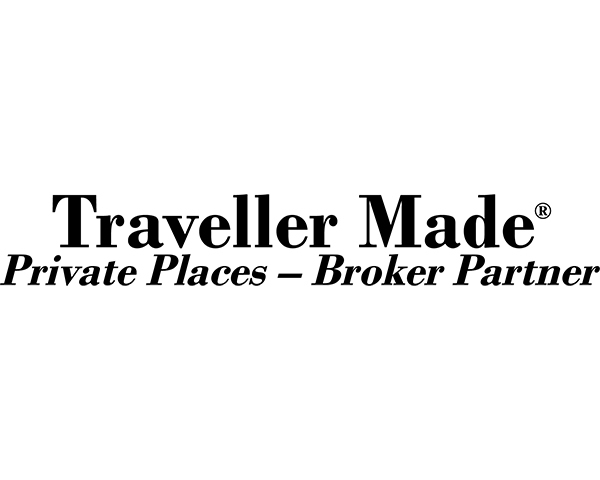 This is the reason we joined forces with the Traveller Made network, where other travel designers share the same views with us! 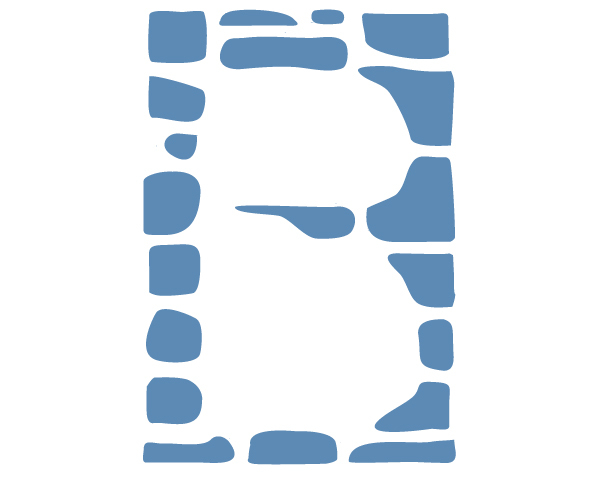 BlueVillas collaborates with Emfasis Foundation, a Greek NGO based in Athens that helps the less fortunate, mostly homeless people and refugees. 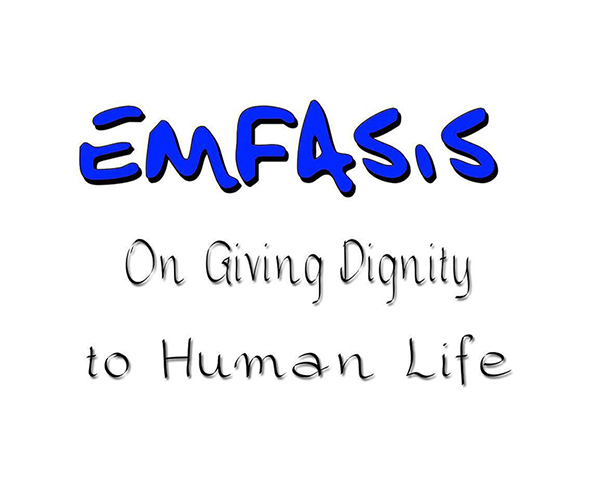 BlueVillas donates to Emfasis Foundation a percentage of the profits received from selected villas. It is a useful and powerful tool that provides all the data you need, the exact rate for your requested dates and number of guests (adults and children) per Villa, your commission percentage and full amount, the payment and cancellation policy, rate inclusions and descriptions. 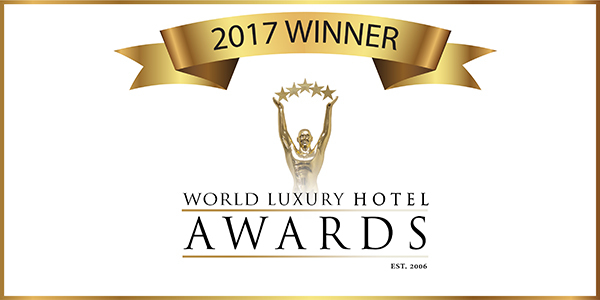 Award Winning Company– we have been awarded for two consecutive years by the World Luxury Hotel Awards with the “Best Serviced Villas Greece” (2016 & 2017). 24/7 Concierge Service– our On-Site Team is available throughout our guests’ vacation to help them, provide information, suggestions, advice and arrange every service they need. True Local Experts – we are located on the islands and have a deep and true knowledge of the Market and the geography of the regions. No one can provide a better support than a local! Events – we have delivered many successful Events from small private parties to large Wedding Celebrations. Whatever your clients have in mind for an Event, we can make sure it will be a roaring success!